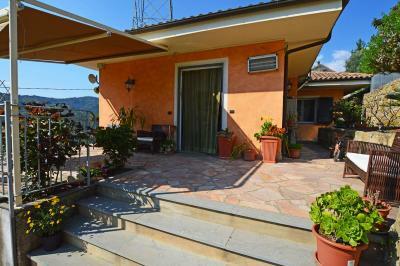 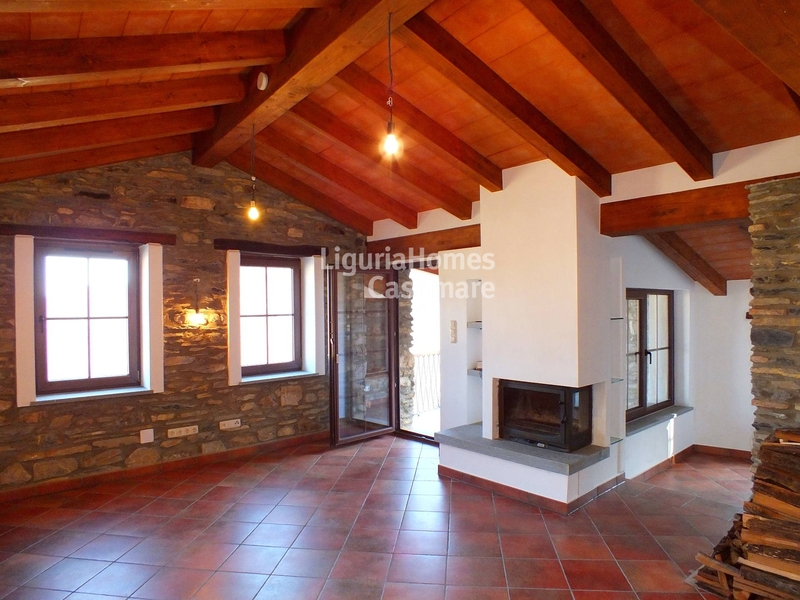 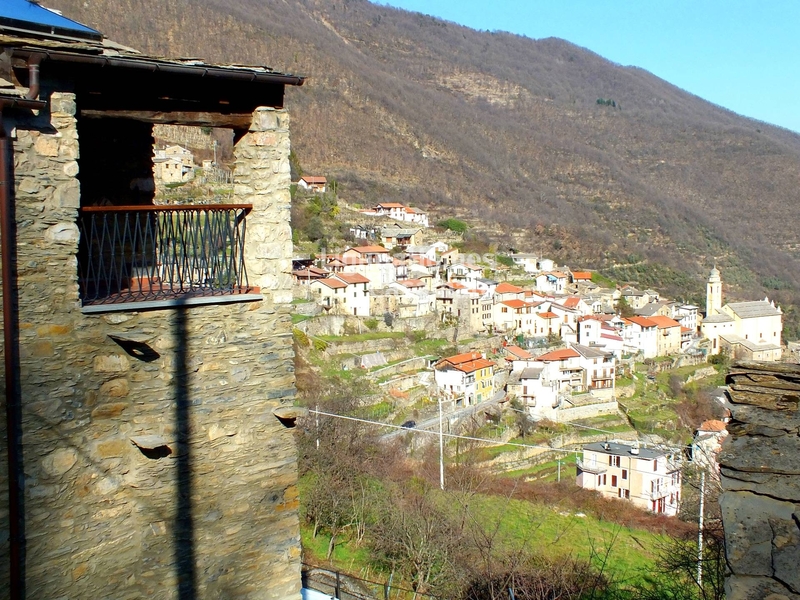 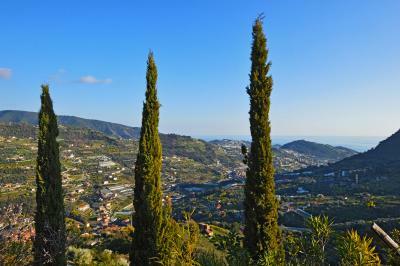 Rezzo: charming Ligurian house for Sale 20 minutes from the sea. 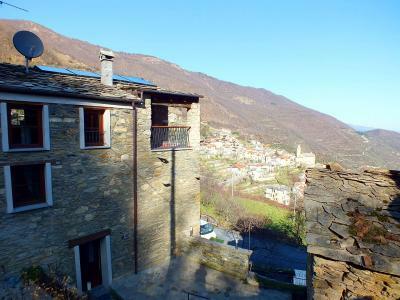 A short walk from the old town of Rezzo, overlooking the beautiful valley, ancient Ligurian House perfectly renovated in the years 2013/2015. 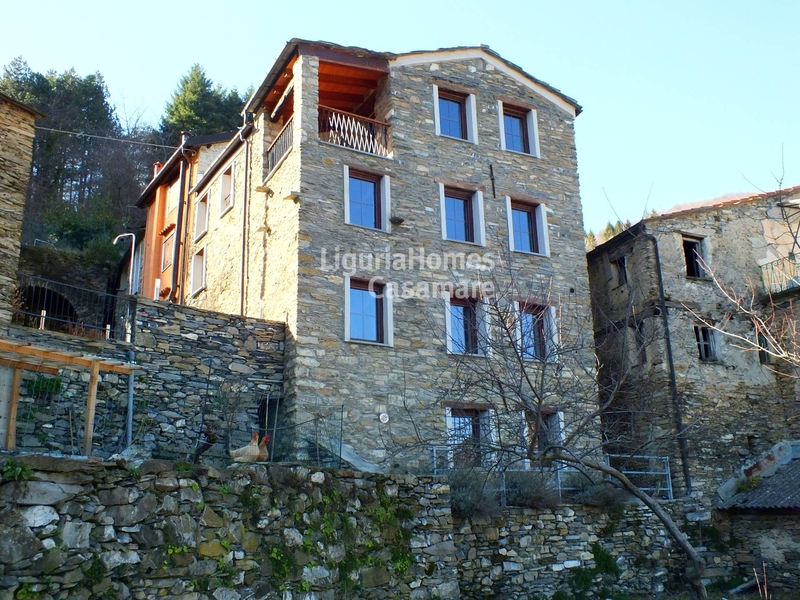 This charming Ligurian House for Sale is made entirely of natural stone with a focus on quality and technological standards respecting its origin dating back to 1800. 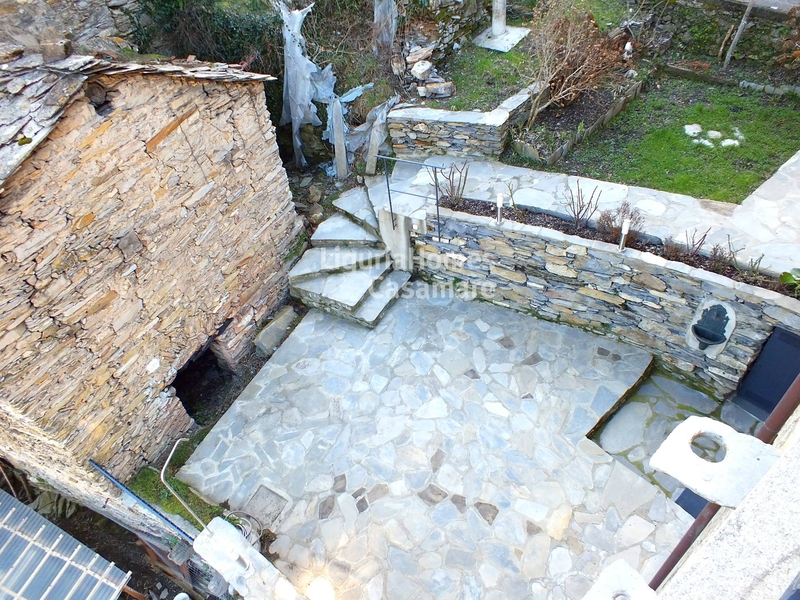 This fascinating ancient Ligurian House consists of: on the first floor there are two large areas divide the kitchen/dining area from the living room which leads to a porch where to enjoy the beautiful views. The living room has a large central fireplace and access to a comfortable sitting area. 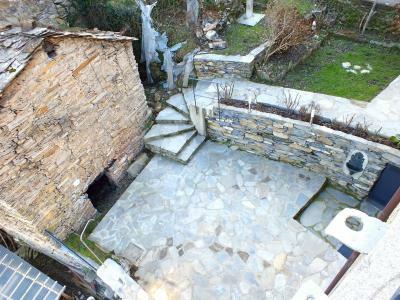 The floor is completed by a bathroom plan. 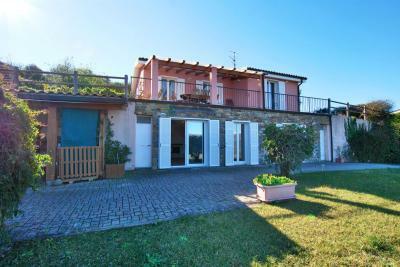 On the ground floor, which is accessed through the front door that looks out on a quaint alley in Liguria, we have, apart from the entrance area, two large bedrooms and a large bathroom. On the ground floor, which is accessed in a fully autonomous manner from a beautiful and large terrace of 45 square meters, well we have a spacious combined living room with a kitchenette. 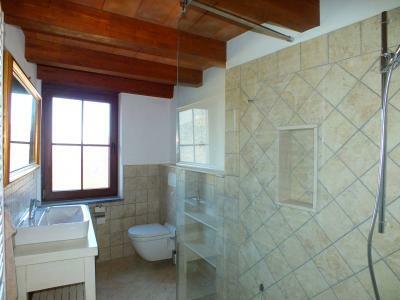 Complete this plan, possibly separable from the rest of the property, a large bathroom and another large compartment currently used as technical area/warehouse. 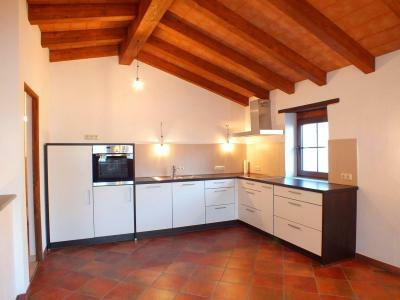 The basement features a delicious Tavern, from a functional basement as well as a large hallway. 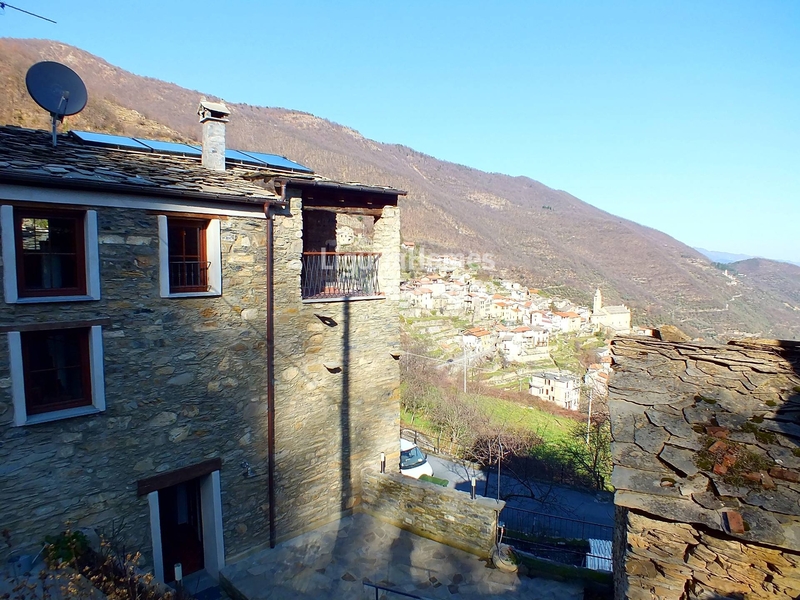 This fascinating charming Ligurian House for Sale is embellished with a floor heating system of last generation, solar panels to integrate domestic hot water and heating part. 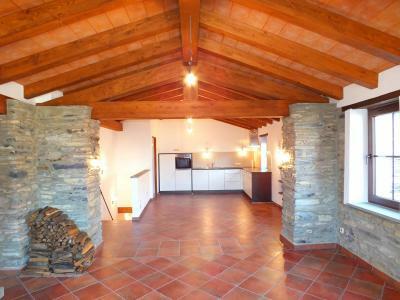 The fine finishes like stone on walls and beams that make this type of unique House making it also suitable for everyday use both as holiday homes.